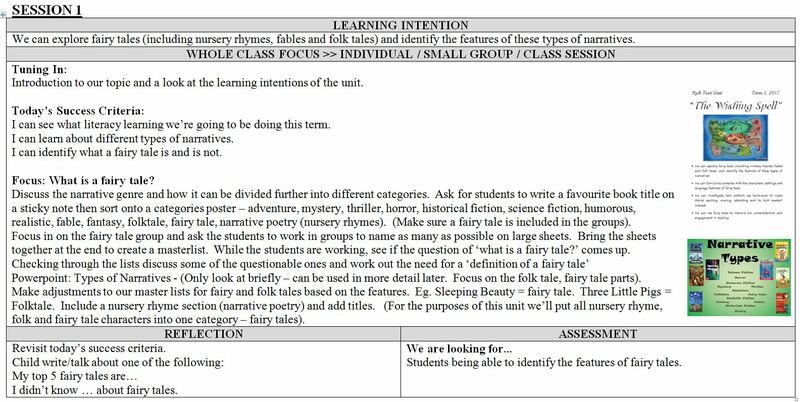 Reading a serial novel with the kids is always great but we wanted to take it a step further and write a 'rich text' unit so that we could use our serial novel to help meet some of the outcomes in our curriculum more specifically. 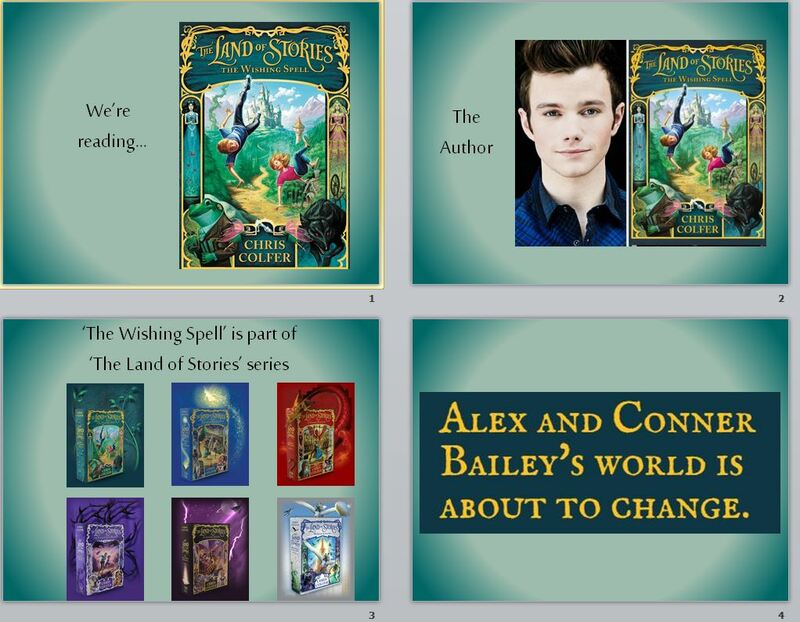 The biggest challenge was finding the right novel and we were lucky one of our teacher friends (thanks Fran) had heard about 'The Land of Stories' series by Chris Colfer. I bought the first in the series 'The Wishing Spell' , read it, discussed it with the others and showed them a couple of issues I had with it and we decided to go ahead. The novel lends itself to a lot of great work with fairy tales. 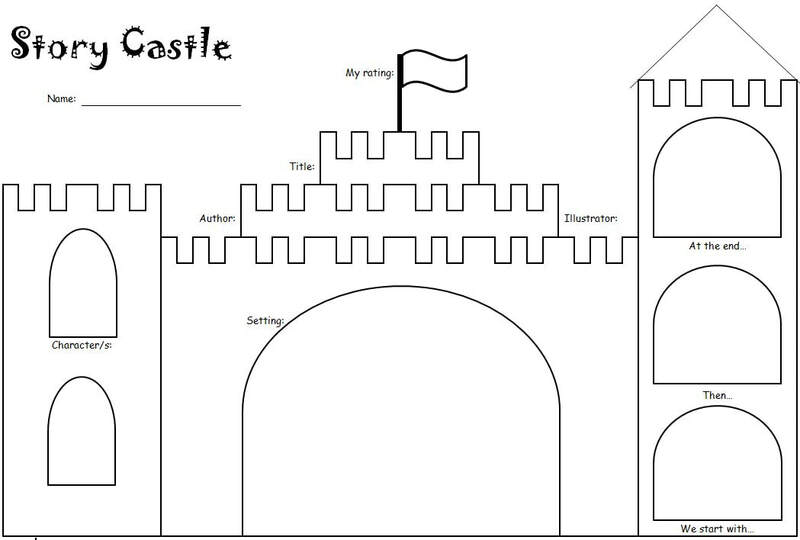 In fact the kids really need to know a lot about fairy tales to get the best out of the novel, so that's where we began before we started the book. I was surprised to find out how many kids did not have a rich knowledge of fairy tales, but that's changed now. 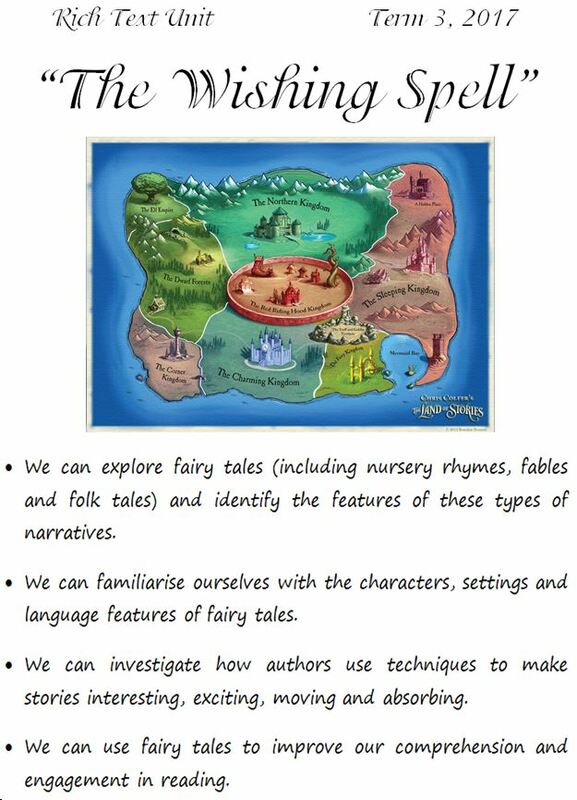 Not only have we read most of the common fairy tales - we've read lots of different versions! We now consider ourselves quite the experts. A few weeks into the term we began the novel and - at the time of writing - we're just over half way. Loving it. The kids are eyeing off the entire series (which I've bought and sat on the bookshelf for them to explore, but we won't read out loud) and we get out the map often to check out where we are. 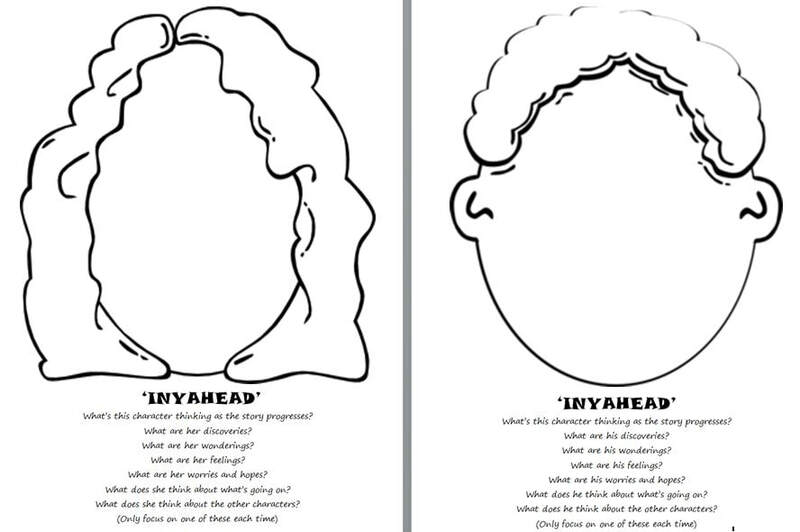 Our 'Inyahead' response has been a great way for the kids to respond to what they're hearing (putting themselves in the mind of one of the major characters). One of my most 'yes, yes, yes' moments has been watching one of my most struggling readers follow along reading every word as I read the story out loud. Her focus is phenomenal and my every page turn is echoed and sometimes beaten by her own. Another great characteristic of this book has been the rich vocabulary and we keep a box of post its and textas in the centre of where we read so that kids can write down any interesting, exciting, dynamic and unusual words we encounter. We're keeping these on a big chart.